Unless you are not a runner, you will definitely know that one of the country's biggest marathon, Sriram Properties Bengaluru Marathon is happening on 15th October, 2017! 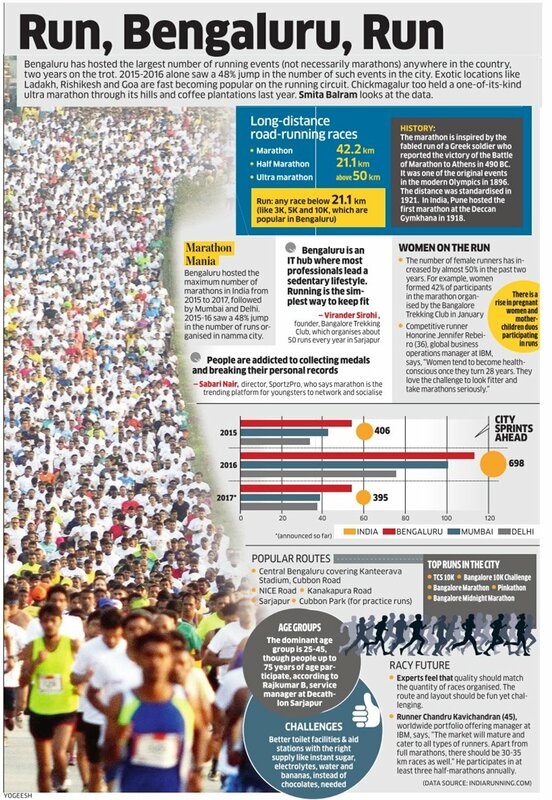 Fondly known as Namma Marathon, it is happening this Sunday and we are very excited! While Bengaluru is known for hosting maximum marathons and having more running enthusiasts in the country, the city is also is known for its sense of humour. And boy, do they know how to make running fun! So while you train, don?t forget to have a laugh by reading some of the funniest tweets made by your fellow runners! Run, Bengaluru, Run! No, really the traffic isn?t that bad..
We wish you all the best Bengaluru! Get ready for Namma Run with your favorite fuel! We are also at the Expo at Kanteerava Stadium and you can stock up on your favorite energy gel in an amazing strawberry & banana flavour! Details of the Expo: Date - October 13 & October 14 Time - 10 AM - 7 PM Stall - The Running Lab The sport won?t stop this Sunday with Fast&Up! #FuelsNammaMarathon #NammaMarathon If you like this blog, please share it with your friends!